The variability in capabilities at the state and local levels often results in botched investigations and turf battles, and sometimes there isn’t any prevention of illness or reduction in the number of people who become ill or die. So how do the U.S. Department of Agriculture’s Food Safety and Inspection Service (FSIS) and the Food and Drug Administration (FDA) fit into this picture? Neither organization is referenced much on CDC’s Web site in the investigations area, even though they regulate food-production facilities. This is because of a “turf war” mentality. When the investigation points back to a commercial entity, for example a FSIS facility, FSIS becomes involved in the investigation. Often CDC will identify a meat product as the culprit, even though other products are involved. Take, for example, the Listeriosis outbreak that lasted from July 2015 to 2016. The questions CDC asked sick patients didn’t appear to include leafy products, yet it ended up being a produce product (salad) that the CDC identified as being the vector, not the different meat products it initially investigated. 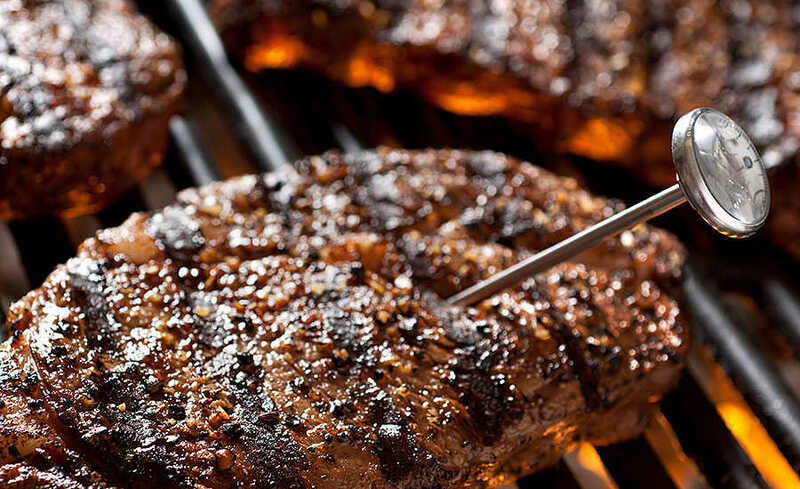 In another case, CDC clearly implicated a meat product in a public release but couldn’t demonstrate what the specific product was, nor would CDC explain the fact the case patient list included vegetarians and others who hadn’t eaten at the restaurant chain or had not been in any way exposed to products from that restaurant. Finally, in 2018, CDC identified a chicken salad as the vector for an outbreak. After a review of documents retrieved through Freedom of Information Act (FOIA) requests, it became evident the investigation had been botched. Text messages clearly identified the state health authority’s refusal to provide all information to FSIS, as the facility had more than 100 laboratory samples taken, including product, food contact, non-contact, etc., that were all negative. FSIS workers later admitted they couldn’t tie the pathogen back to any chicken product that the company may have received from suppliers. Meanwhile, product that had been opened and garnished at a grocery chain was tested and came back positive; however, no further testing was conducted to determine whether the retail facilities were contaminated or whether contamination occurred at the FSIS-regulated facility. It became quite clear state and local investigators were happy to identify an FSIS-regulated facility as the culprit and avoid disclosing issues at a facility they regulated. Another interesting fact about this investigation: CDC initially had a much higher number of people identified as being sickened based on the laboratory sampling, only to reduce that number after determining many of them hadn’t had the product, nor had they even been to the stores or states affected! This indicates there was a potential vector the investigation failed to identify. No one wants to produce adulterated food. But what do you do if your firm is suddenly caught in the crossfire of a foodborne outbreak, given the ineptitude demonstrated above, which could jeopardize the investigation and worsen any already devastating consequences? I strongly recommend your food-safety team get directly involved immediately. I also recommend retaining a law firm to help develop a strategy for dealing with regulators, the press and others who see this as an opportunity to take advantage of your business. If your food-safety team determines your product is the likely culprit, get it out of the market as soon as possible! While it may sound like common sense, the delay in reporting and investigations themselves may give you a false indicator that the outbreak is “over”. Yet, in the case of the chicken salad investigation above, the company had stopped production, but people were supposedly getting ill from it more than 60 days later. If your food-safety team says it’s not likely your product, be prepared to fight state and local health department findings. Often, people will become ill up to two weeks after they consumed a product. When interviewed, do they really remember what they ate two weeks ago? If the investigator asks questions that lead them to certain answers, such as, “Did you eat hamburgers from Restaurant A,” how do you think many will typically respond? Fighting back is not easy. It takes real research on your team’s part. Track down and talk to the people who reported becoming ill (lawyers wanting to put you out of business will already be chasing them down). Find out what else was consumed, and you may find a more likely culprit. For example, hamburgers are cooked, but the lettuce that goes on them is not. If a retail outlet handled the product between you and the consumer, get detailed information on how the product was handled. Was there a common spice or other item put into the product that may have been the vector? A common, lazy assumption that some state and local health departments often make in the opening stages of a Salmonella outbreak is to immediately begin to investigate chicken as the vector, even if there were cucumbers, lettuce, etc. on the sandwich. Did your customer further prepare the product and cross-contaminate it? Whatever you find, you need to be able to use it to appeal any decision that may be made. 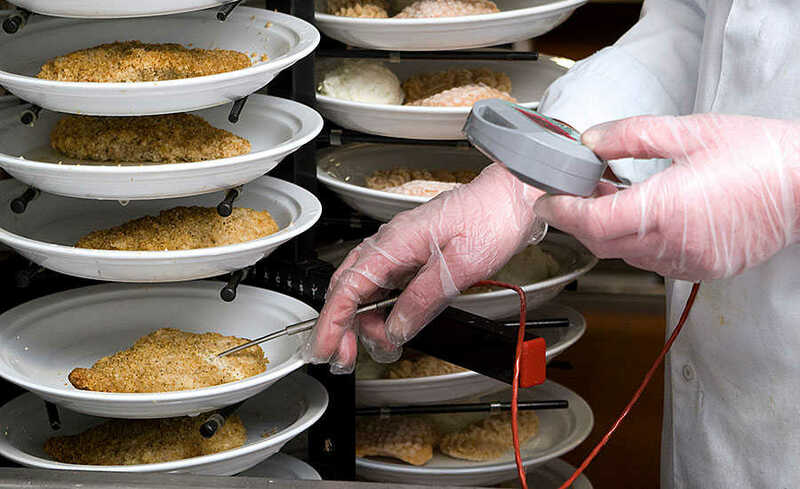 FSIS will be in your plant and will do a Food Safety Assessment (FSA). You may also have the local health department, state investigators, and potentially FDA and/or CDC personnel in your facility as well. Know your rights; make absolutely sure anyone entering your facility follows your food-safety system and sanitation controls (and require that they do so). Observe any testing that is conducted. If the person conducting the test fails to follow aseptic techniques, appeal immediately. If the person doesn’t react to your appeal move up their chain of command, and do so quickly! 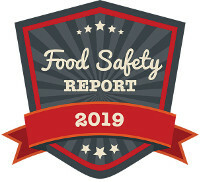 If your food-safety team is confident you didn’t produce the product investigators have identified as the vector, aggressively appeal any derogatory decisions. A disturbing trend we see is people eating raw or undercooked poultry products, getting sick and forcing recalls and other actions by production facilities. All recalls are voluntary, so if you are being strong-armed into a recall because someone ate raw chicken sausage, we strongly recommend you push back. FSIS will tell you any product that gets someone sick is an adulterated product, and the organization is building case law to support that assumption and ultimately overturn established law concerning what is adulterated product. This will then allow FSIS to establish the zero-tolerance policy being demanded of it. At some point, consumers need to take responsibility for what they eat and how they prepare those products. All of this brings us back to HACCP. Know your customer. If you create retail products that are sold at other facilities, how do you package said product to protect the consumer and yourself from contamination or temperature abuse? Are your cooking instructions adequate? How are you verifying that your transportation companies maintain adequate temperatures? If you make products that are further processed, have you provided accurate statements as to your production and food safety program? Is your sampling program designed simply to get you past the FSIS regulator, or is it truly designed to detect failures in your systems? Are your food-safety systems designed not only to produce a safe product but also to protect the company? Too often we see food-safety systems strictly designed to get through FSIS assessment and a Global Food Safety Initiative (GFSI) audit. If you are identified as having produced something that caused a foodborne illness, you will be bombarded with lawyers demanding you settle with their client. What makes this difficult is that their client was more than likely legitimately sick and may have horrendous health issues because of it. If you fight back to defend your business, the lawyers will attempt to destroy you in the world of public opinion. You will have to make some hard decisions. We recommend transparency and a clear and concise message about your products. The attorneys representing those who became ill often attempt to bring in “experts” to review your facility and systems. Remember what Colin Powell said about them: “Experts often possess more data than judgment.” Remember, too, that your team is also made up of experts, and these experts know your facility, programs and processes. Molly Linden and Abbey Davidson of We R Food Safety! contributed significantly to this article. Andrew Lorenz is president of We R Food Safety! For more information, email him at andrew@werfoodsafety.com.